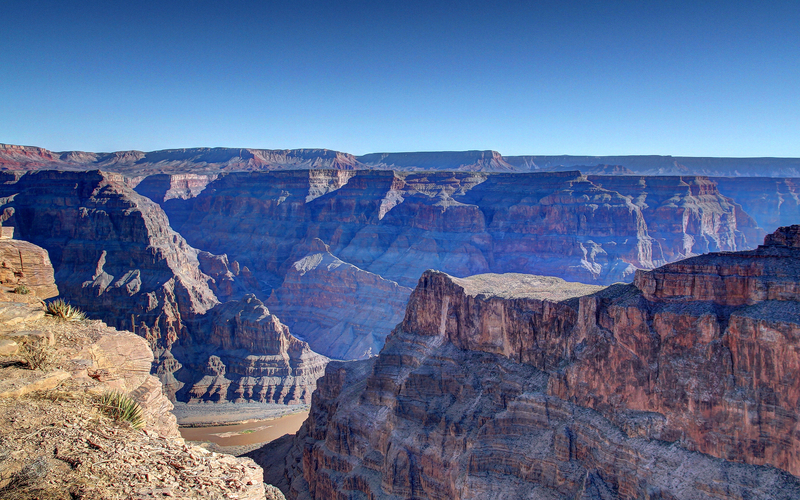 The Grand Canyon is one of the most spectacular natural wonders of the world. Nearly 277 miles long and attaining a depth of over a mile, the Colorado River snakes through this massive ravine. Looking at this gorgeous sight, one can appreciate the forces of nature, as the water cuts through the rocks and flows unperturbed. The Joshua Tree Forest is home to a unique variety of flora and fauna. The gnarly trees with spiky leaves on top are unlike any other xerophytic plant. One of the highlights of the tour is the U-shaped skywalk, extending nearly 70 feet over the edge of the canyon. From the vantage point, the entire west rim of the Grand Canyon is visible, including the stunning 3200 feet drop to the Colorado River. 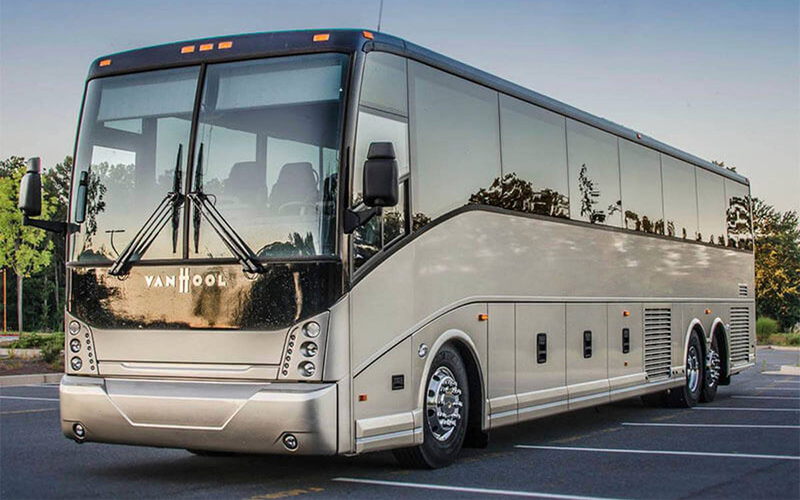 The 11-hour tour will begin with a pickup from your hotel room. On the way to the Grand Canyon, you will go through some of the most popular attractions in Colorado. This includes the Hoover Dam lookout spot at Arizona and driving through the Joshua Tree Forest. If you love to hike, the upward climb at Guano Point will take you to the highest point of the canyon and offer spectacular views of the Colorado River intertwining through the rocks. After a light snack to keep your energy high and with a nearly unlimited supply of refreshing water, the view from the vantage point will ensure that high temperatures are but a distant memory. The Canyon itself is something to marvel at, with distinctive hues ranging from red at the top to shades of violet and blue at its base. Finally, you can step onto the skywalk that extends almost a hundred feet beyond the edge. Standing over this glass bridge will give you a full view of the astonishing 3200 feet drop to the Colorado River flowing below. Splendid views of the West Rim abound from here and are a must-see for anyone visiting the Grand Canyon. This is optional and is not included in the basic tour. 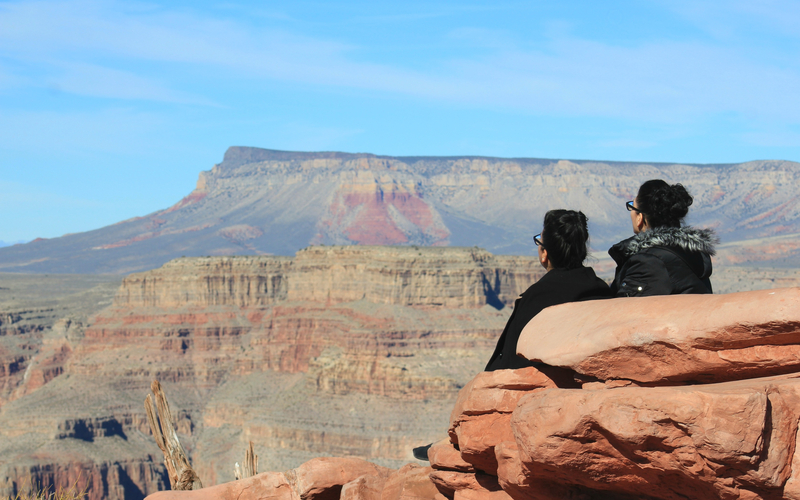 Witness breathtaking sights of the serene Grand Canyon West Rim, with scenic views of the magnificent Colorado River. Enjoy an invigorating drive through the Joshua Tree Forest. Witness spectacular sights of the Hoover Dam, with a stop for around 15 minutes at this majestic location. Get a complimentary pickup from your hotel, and take a relaxing drive through the desert to the attraction. With Skywalk - In addition to the above-mentioned places, also includes entry to the glass bridge. 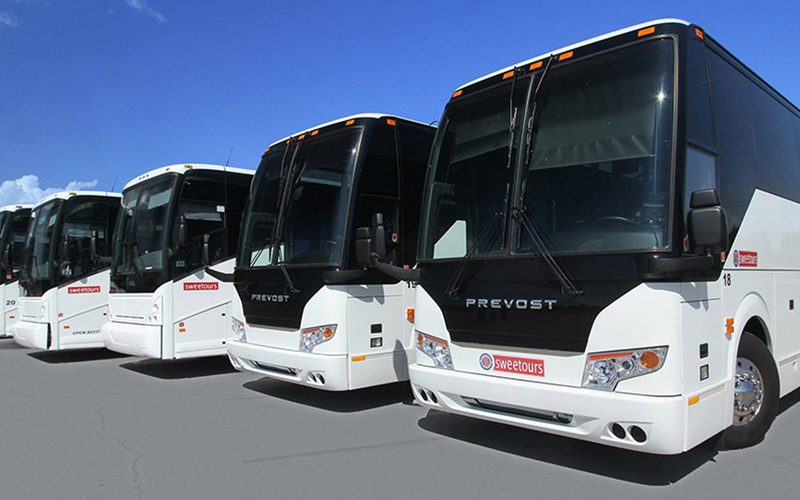 You will receive an email confirmation with your Grand Canyon West Rim Bus Tour ticket voucher shortly. No need to print. Just show the voucher on a mobile phone with a valid photo ID during the pickup from your hotel.